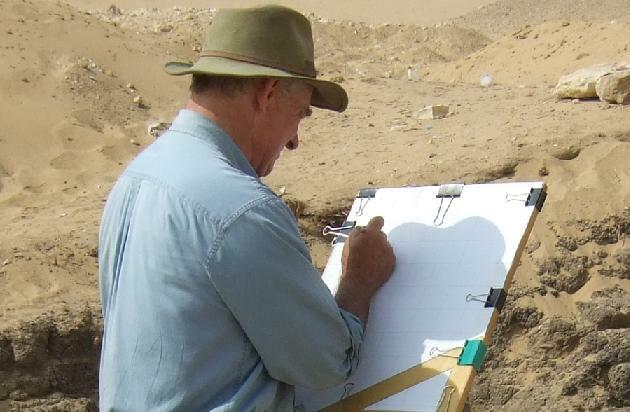 Despite his heavy responsibilities as Director of AERA, Mark Lehner is at heart a field archaeologist. One foggy morning at Giza recently, I found him alone, mapping features in the area between the Menkaure Valley Temple and Khentkawes Town. Field work is in his blood. Mark and his good friend, Zahi Hawass, have an ongoing joke about which one of them first started wearing their signature hats in the field. It’s a question happily without resolution, as they both wear it well. But it’s only one of many hats that Mark wears. 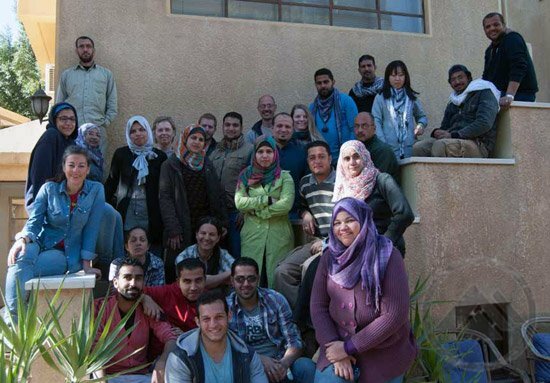 Mark leads a very large, international, multidisciplinary team during long field seasons. 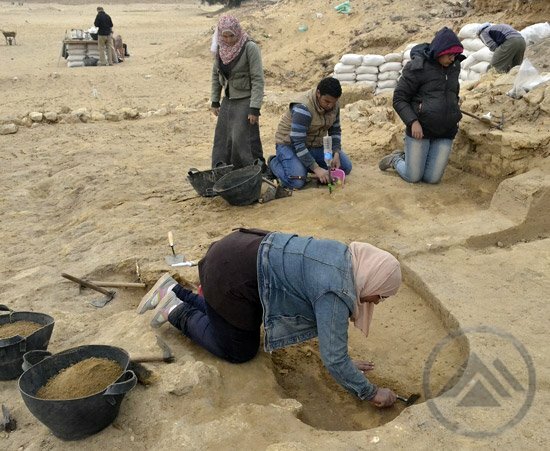 He has to spend the rest of the year raising the funds that support the excavations, the field school, and the processing and analysis of vast amounts of data from the digs. He is the principal writer and final editor of all AERA publications, and he also gives lectures. 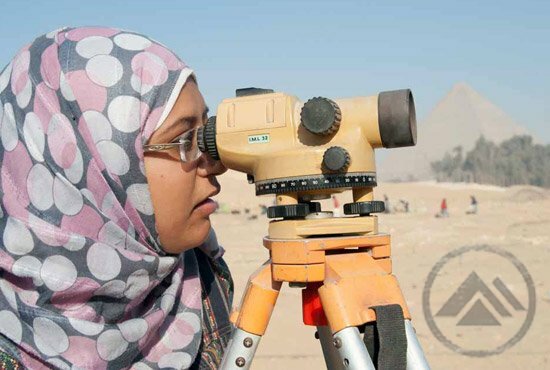 The founder of the Giza Plateau Mapping Project - mapping. 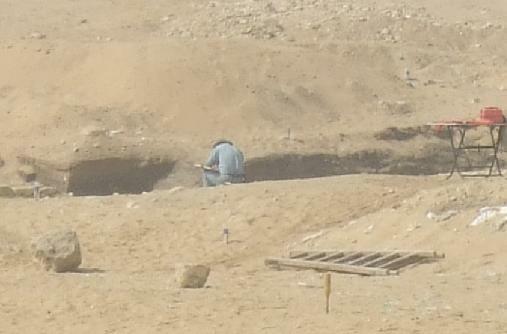 Yet he makes time to do what brought him to archaeology in the first place. Mark spends part of every day during the field season in the field, walking from area to area within AERA’s concession, taking pictures and talking with team archaeologists. He asks about features they’re excavating, suggests alternative interpretations, or offers a tie-in from some obscure but relevant report written by a long-dead excavator that he read a decade ago. 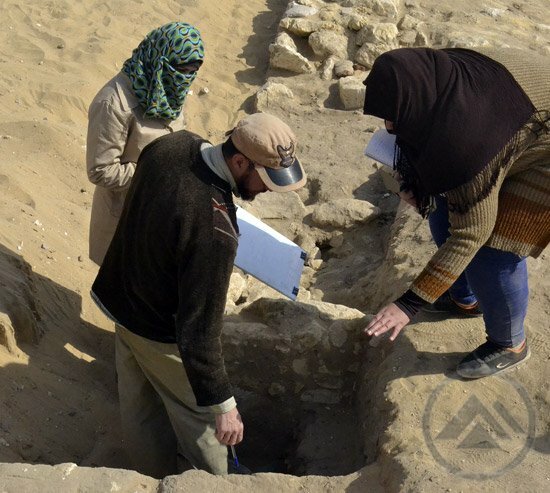 During the season there is a weekly site tour, when anyone on the team who wants to participate walks with Mark to each area under excavation. The archaeologist working the area explains the latest bit of their excavation, and team members ask questions. It’s very important that all team members understand what’s going on in areas they’re not working on. During a recent tour, the subject of the Nile flood came up. 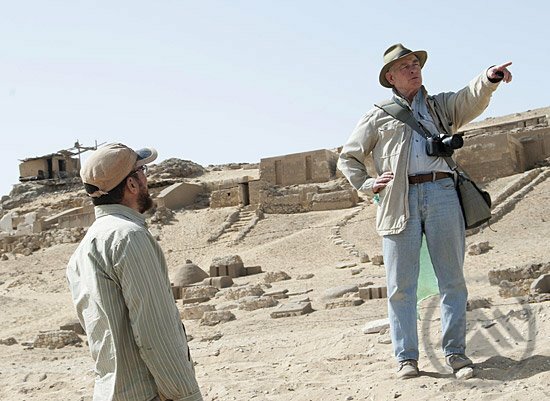 Mark rattled off the figures for ancient Nile flood levels, as well as the levels (above sea level) of the Khafre Valley Temple floor and the structures in front of the temple … from memory. Mark Lehner alone in the field. 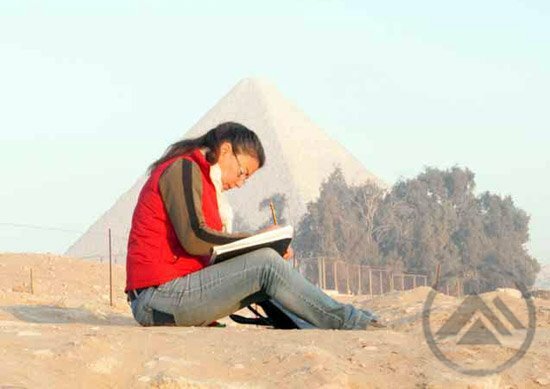 But eventually, the founder of the Giza Plateau Mapping Project takes pen and tape rule in hand alone. On this particular morning he didn’t look like the Director of AERA. He looked like Mark Lehner, archaeologist. Mark has talked about the importance of keeping his hand in field work. 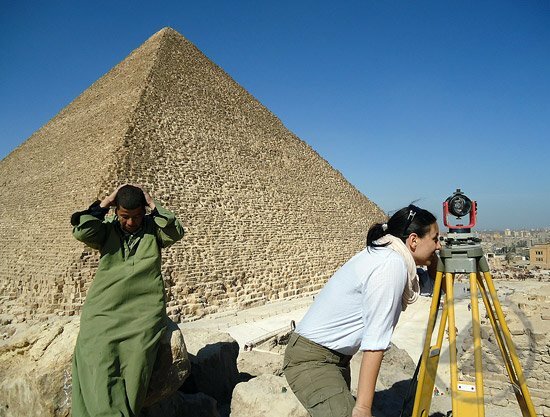 While he has embraced technologies that are changing archaeology (LiDAR, GIS, etc. ), there is something about mapping by hand that he feels connects an excavator to an understanding of features in a way that technology can’t. Decades of field work have trained his eye to see what the camera often can’t capture. 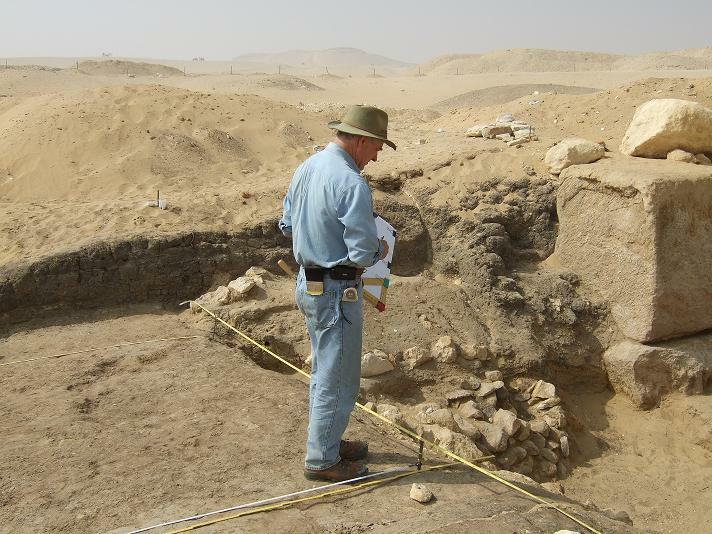 After more than thirty years in Egypt and twenty years of leading AERA, Mark Lehner is still a digger.